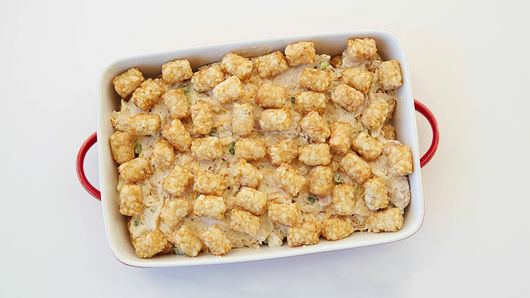 In medium bowl, mix condensed soup, 1/2 cup of the ranch dressing, the garlic powder, salt, pepper and 1 cup of the cheese until mixed well; stir in chicken and 1/2 cup of the green onions. Place half of the frozen potatoes in single layer on bottom of baking dish. Spoon and spread chicken mixture on top of potatoes; top with remaining potatoes. Bake uncovered 50 minutes; top casserole with remaining 1 cup cheese. Bake 8 to 10 minutes longer or until cheese is melted and potatoes are lightly browned. Drizzle with remaining 1/2 cup ranch dressing; top with remaining 1/4 cup sliced green onions. 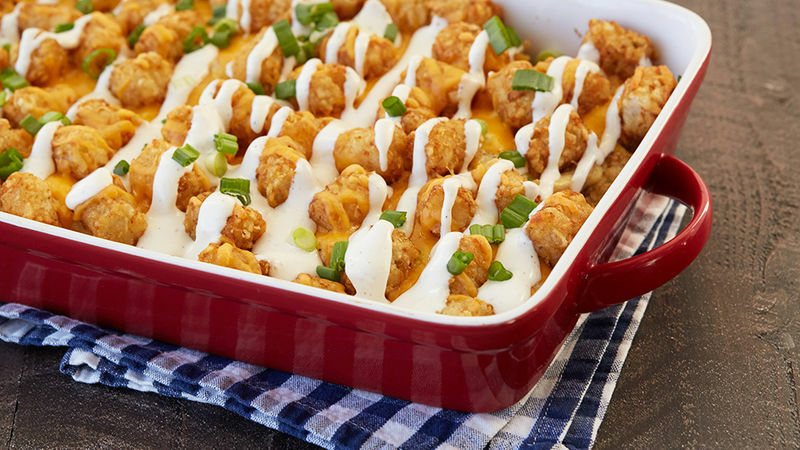 Crumbled cooked bacon adds great flavor to this casserole. 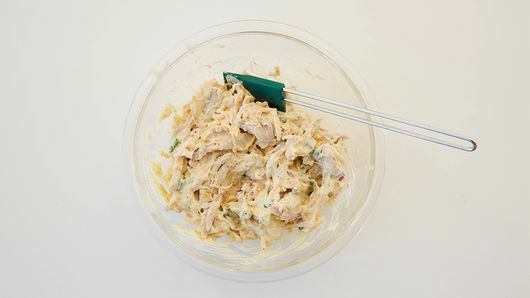 Deli rotisserie chicken may be used in this recipe.